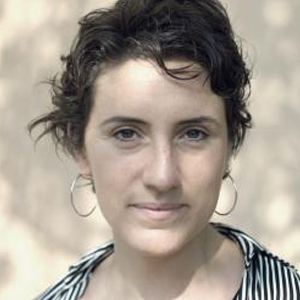 Floriane Bolazzi is pursuing a doctoral training in Economic Sociology and Labour Studies in Italy at Università di Milano and in France at Université Paris Diderot. She is affiliated at the CESSMA (Centre d’études en sciences sociales sur les mondes africains, américains et asiatiques) in Paris and she has been working with Dr. Himanshu at the CSH since 2013. She firstly joined the CSH as an assistant of research in the program ““Palanpur: India’s Economic “Revolution”: A Perspective from Six Decades of Economic Development in a North Indian Village” to which she contributed a study on networks effects and labour mobility in Palanpur (Uttar Pradesh), and later she developed a PhD project partly based on the findings of the program. Floriane Bolazzi inquires in her PhD the nexus between the flexibilisation of work, the transformations of the employment structures and the social segmentation of the labour market to better identify and understand the conditions and the dynamics determining the social (im)mobility. Her focus is on rural labourforce converting from agriculture to non-farm sectors and her research is located in Moradabad district (Uttar Pradesh). 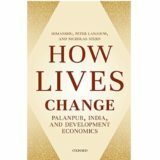 She combines a statistical analysis of the inter-generational and the intra-generational mobility in Palanpur from a wide range longitudinal database with an in-depht qualitative survey in Chandausi, a small town, and in Moradabad, the capital of the district.